Relationship Goals are trending real high on the internet. A relationship goal is an ideal experience or lesson to aim for in your relationship with your partner. These goals are like loose guidelines on how to best give and receive love in your relationship without making any compromises. Social psychologists say that humans are naturally driven towards establishing and sustaining belongingness. Nurturing a relationship becomes an important step to improving it. To avoid any conflicts, miscommunication, boredom or frustration that tends to creep in with time in a relationship it is vital to set up mutual relationship goals. These goals require daily commitment from both the partners and help in self-improvement and personal development too. Create a couple bubble – This helps to reinforce the goal of prioritizing your relationship by putting “we” above the “me.” This helps to strengthen your bond and you feel loved and cherished. Create a space of reassurance and protection that helps to keep the relationship healthy and strong. Become an expert on each other’s needs, desires, and fears. Connect with one another every day – Spending time with one another is a must in any relationship. With all the daily stressors and distractions it is important to take out some connection time every day where you are fully present to each other…. Which means no phone, no work no nothing…. Just the two of you. Look in each other’s eyes. Hold hands. Listen attentively as the other is talking. Enjoy each other’s company. Be kind – Make it a goal in your relationship to be kind in all of your communication. Being kind doesn’t mean you have to agree with each other or even feel loving during a challenging moment. Avoid insulting, attacking or intentionally hurting one another. Step away or count to ten when you feel like lashing out, knowing that you don’t want to say or do something you’ll later regret. Embrace vulnerability – Make it a goal to be completely open, vulnerable, and real with each other. But more importantly, make it a goal to always treat one another’s vulnerabilities with tender loving care. Have fun – Play a couple of games and have fun together, this helps to increase communication and bonding. Sit down with your spouse to discuss what you both consider fun activities. Be open to trying new things that might differ from your initial ideas of fun. Allow yourselves to be silly and act like kids again. As you continue to grow and evolve in your relationship, you want the love and togetherness to grow too. Setting realistic relationship goals encourages you to raise the standards of your bond. It strengthens your love and brings you closer with time. Read more: Set New Couple Goals for your Friends! 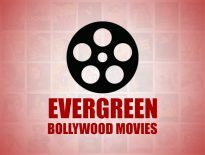 Next articleBollywood Movies That Stole Our Hearts! Want To Express Your LOVE? Relationship Quotes That Will Reignite Your LOVE! Bollywood	Bollywood Movies That Stole Our Hearts!